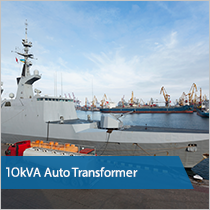 Our auto transformers have a wide range of applications and are used across a range of industries. This includes commercial, rail, offshore and military applications. As a company we thrive on providing excellent customer service with a turnaround time that is second to none. 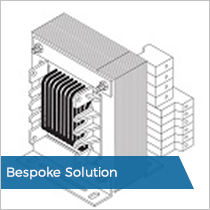 Whatever your specification our technicians are at the forefront of transformer design. Our goal is to get you the exact transformer you need, in the fastest time possible. We are uniquely positioned as one of a few companies that offer a transformer manufacture and rewind service. Each auto transformer which is manufactured is custom built to ensure it will meet your specification. Our range all conform to BS EN61558 and EN 60076 standards. Also, our procedures and quality controls are independently monitored to BS EN ISO 9001:2000. Additionally, we work alongside all the leading quality and testing authorities such as; DNV, BSI, Lloyds, Nemko, NSN and VDE. We have been supplying the leading engineering companies in the UK since 1982. This includes many in the defence, rail and marine sectors. These companies entrust us to deliver reliable, bespoke solutions to their engineering requirements. All transformers that R Baker (Electrical) Ltd manufacture are made in the UK, therefore ensuring the highest quality products and competitive prices. Due to the experience of our team, we can work with you to offer the best technical advice possible. Our transformer manufacturing facilities allow for bespoke requests. If you require an enclosure to be fitted then we can supply one that is to your liking, e.g. wall mounted or floor standing. Enclosures can be constructed from stainless steel, aluminium or ATEX making them suitable for gas and/or dusty environments. Our standard cases are IP23, but we can supply up to IP66 if required with no addition to lead-time. As well as a transformer manufacturer, we also offer full transformer repair & rewind services. Our team are available 7 days a week, providing you with real peace of mind. We are available to deal with any critical breakdown situations when needed. Please see our transformer rewind page for more information. Our client required us to manufacture an open style auto transformer; designed to step down the incoming voltage. This was designed to meet military specification for application with a weapons system. Our client required an auto transformer for equipment which operated at a non-standard voltage. Our team worked with the client to develop and manufacture a single phase auto transformer which was designed to be installed within the equipment. This solution was designed to fit within a specific size and had a specific weight requirement.